The Angels interact with us at many different levels, always assisting us with choosing the correct path. What if you had angels in your life but felt you needed to choose to keep it to yourself? There are many in the world who receive information from the angels and share it to benefit others but keep the source a secret. SageAram Nash joins CJ this week as she shares her story about the angels who help her meet the needs of the special people in her life behind the scenes. She agrees to share her story with us this week! The last half of the show is reserved first come, first serve basis for Angel Readings with CJ. Ask any question and the angels will answer! Call toll-free during the show: 1-877-296-0345. 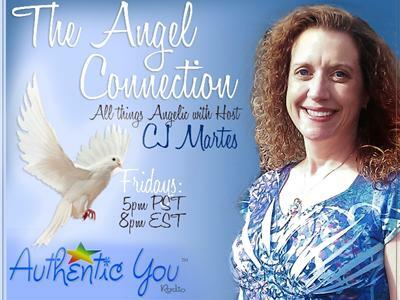 To stay informed on all things Angelic, visit the official show page of The Angel Connection at www.AuthenticYouRadio.com/The-Angel-Connection.